When Audrey Kepler inherits an abandoned homestead in rural Queensland, she jumps at the chance to escape her loveless existence in the city and make a fresh start. In a dusty back room of the old house, she discovers the crumbling photo of a handsome World War Two medic – Samuel Riordan, the homestead’s former occupant – and soon finds herself becoming obsessed with him. But as Audrey digs deeper into Samuel’s story, she discovers he was accused of bashing to death a young woman on his return from the war in 1946. When she learns about other unexplained deaths in recent years – one of them a young woman with injuries echoing those of the first victim – she begins to suspect that the killer is still very much alive. And now Audrey, thanks to her need to uncover the past, has provided him with good reason to want to kill again. This was a great book. Beautifully written that generated lots of discussion amongst our group for good reasons this time. On the whole we all enjoyed the book. It drew us in very quickly as it weaved its web of intrigue and deceit. However, during our discussions we found a lot of holes in the storyline. What were the characters motives? Just why was the murderer so obsessed with the mother and daughter? We also felt the book needed a little editing. There were large sections of the book, lengthy descriptions about weather and plants, and characters that seemed to be introduced unnecessarily, that our readers skimmed over. Overall, it was a great read that we definitely recommend, scoring a solid 8 from our group. Everyone especially enjoyed the letters between Samuel and Aylish, taking us back to a time before technology and text messaging! 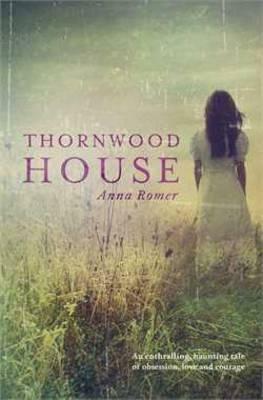 This entry was posted in All and tagged anna romer, australian fiction, book review, thornwood house by Jody. Bookmark the permalink.